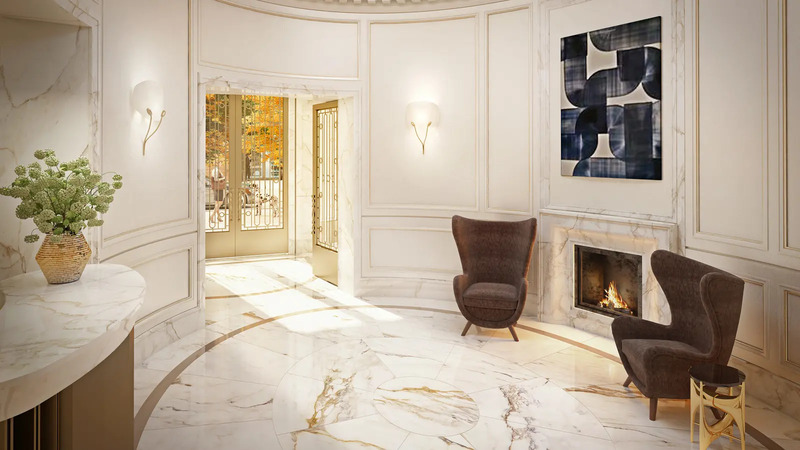 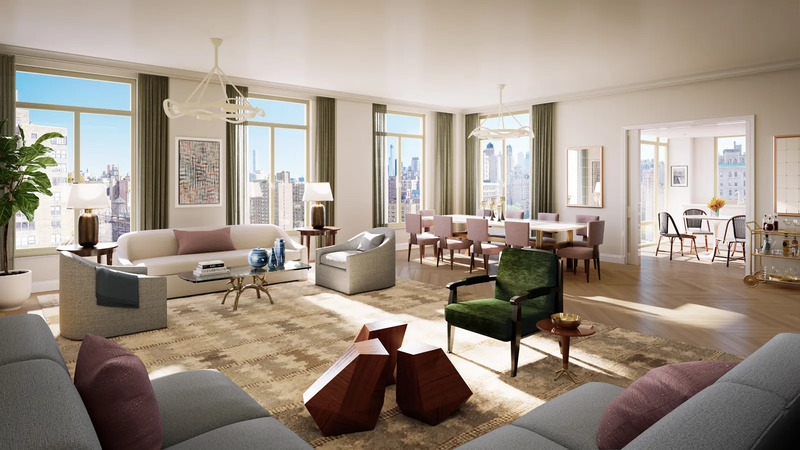 #2 Rated condo - Riverside Dr./West End Ave.
Robert A.M. Stern–of 15 Central Park West fame–is the starchitect behind the 31 grand condominium residences that will–upon completion in 2019–lie within this elegant limestone and pale-brick-façaded building. 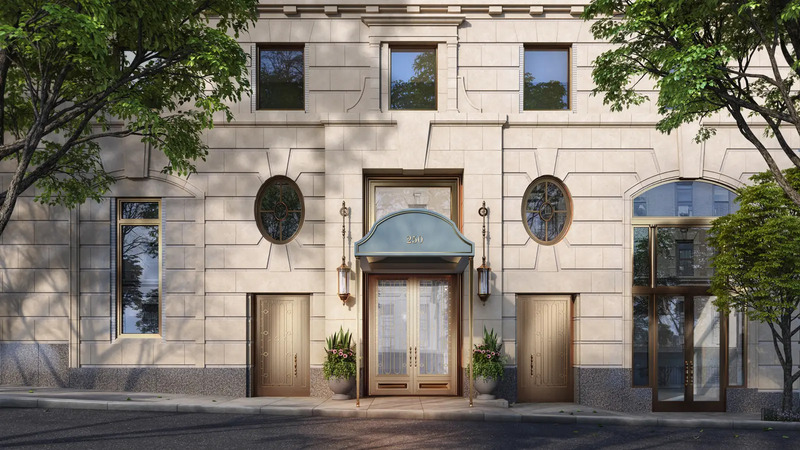 The surrounding streets are some of the city’s most well-preserved, with old-world character seen in graceful townhouses and apartment buildings. 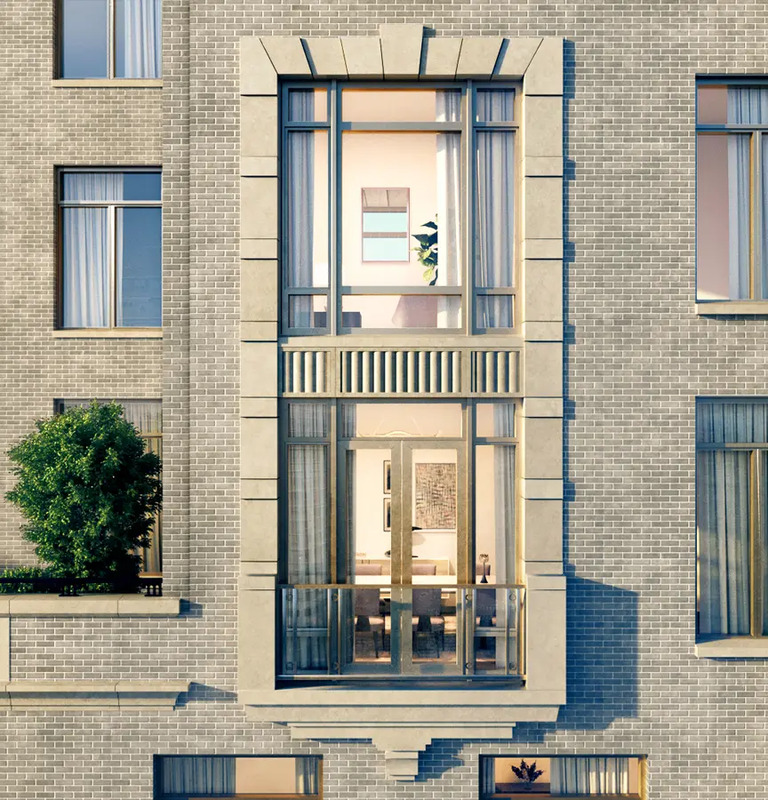 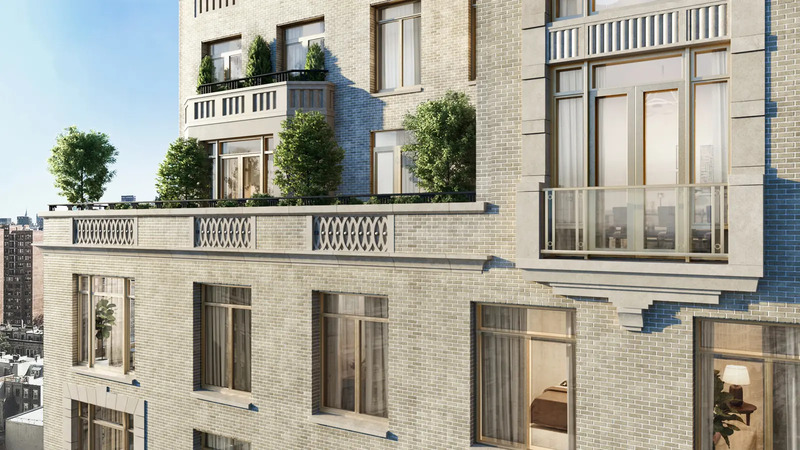 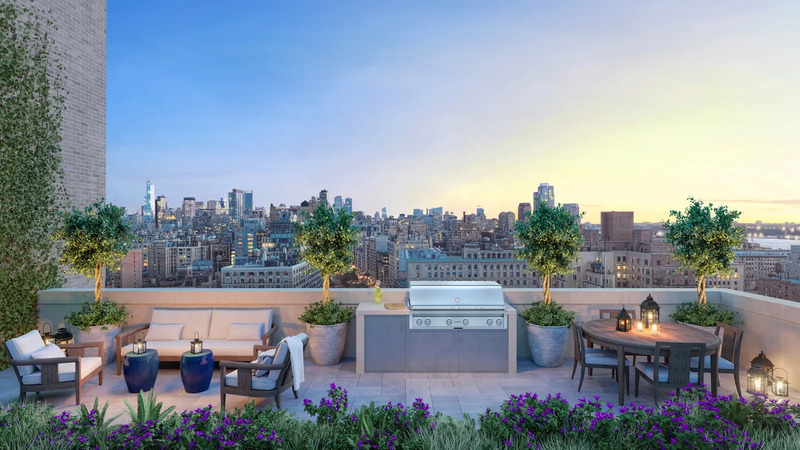 The architect composed the building’s silhouette to create private terrace experiences and oversized windows for many of the residences, saying that "Two Fifty West 81st is a reinterpretation of the classical Upper West Side prewar buildings for the way that people live today." 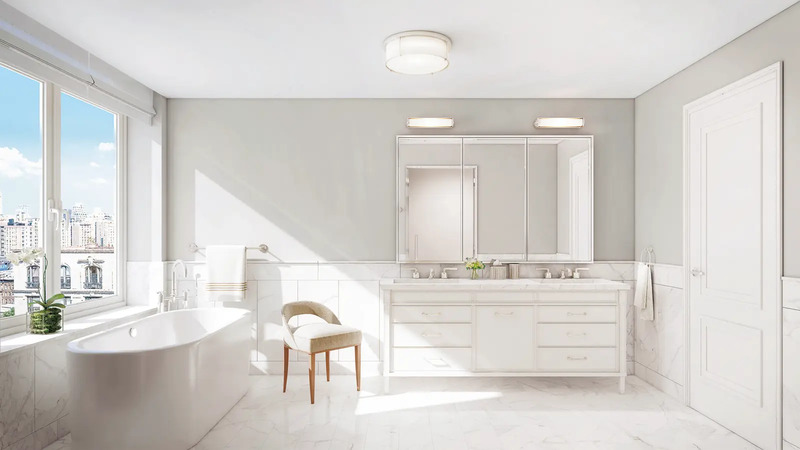 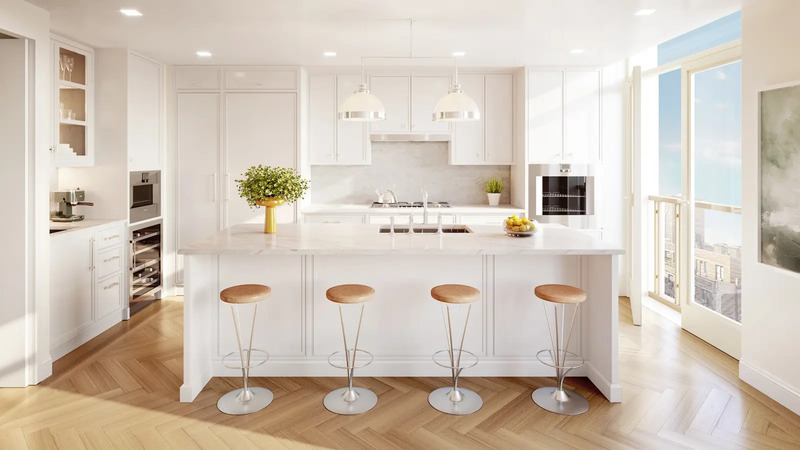 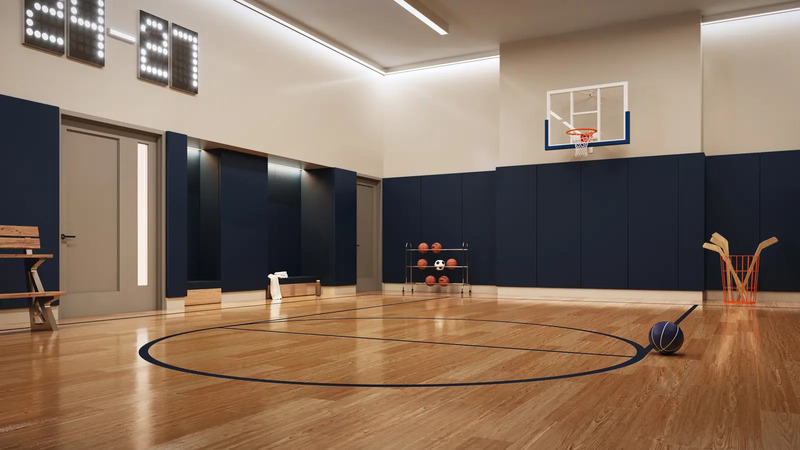 The 28 palatial two- to five-bedroom homes within will have foyers, hand-laid herringbone oak floors, kitchens with custom cabinetry by Smallbone of Devizes, marble countertops, polished chrome fixtures and an integrated suite of Gaggenau appliances. 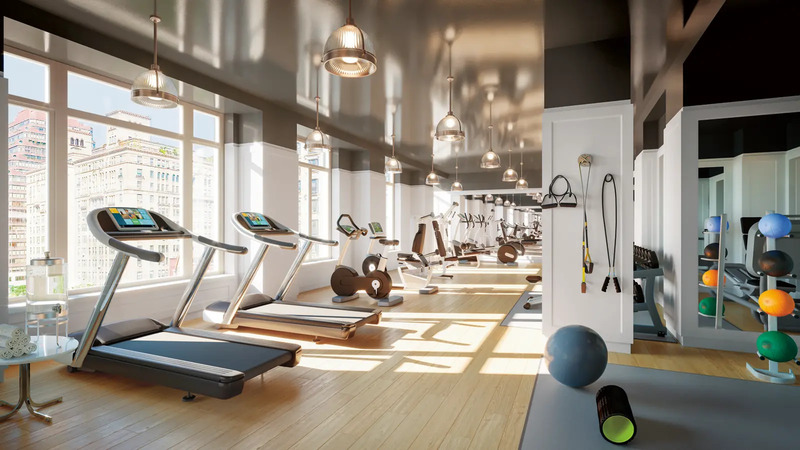 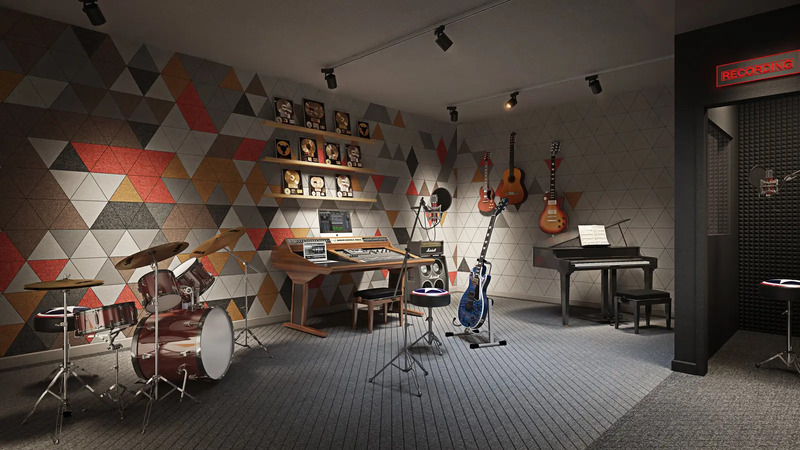 Residents will enter through an oval gallery with a 14-foot-high dome ceiling and a fireplace, and the building’s 6,000 square feet of amenities are no less impressive, including a professional music studio for adults and children, a fitness center, sports court, golf simulator, children's playroom, bike storage and a rooftop Sky Terrace for open-air dining. 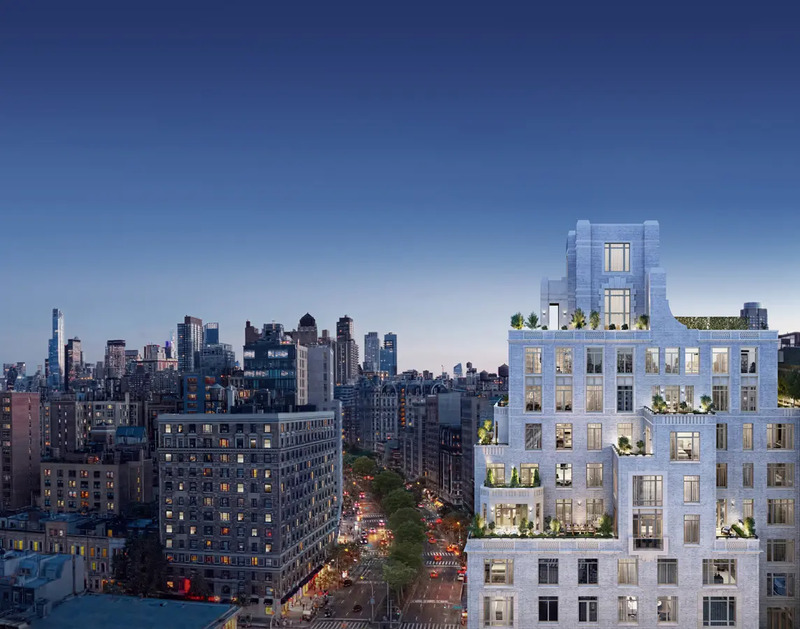 There will be two floors of retail at the building’s base, and nearby are beloved grocer Zabar’s, the American Museum of Natural History and the Children’s Museum of Manhattan. 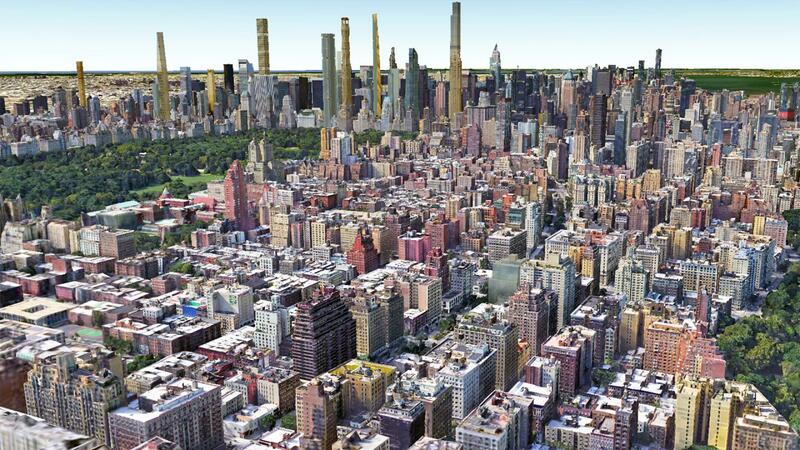 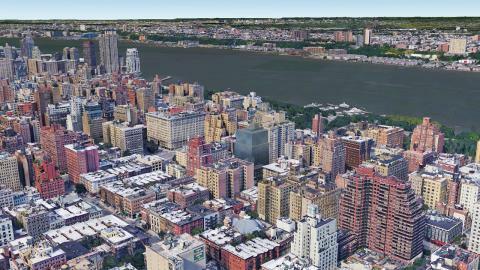 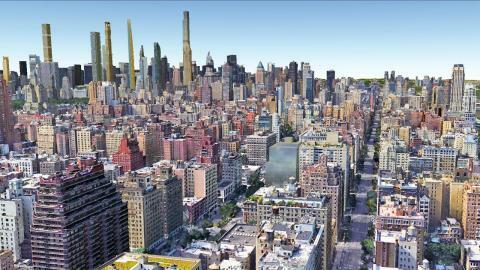 Also nearby are Riverside Park and the 79th Street (1,2 line) subway station. 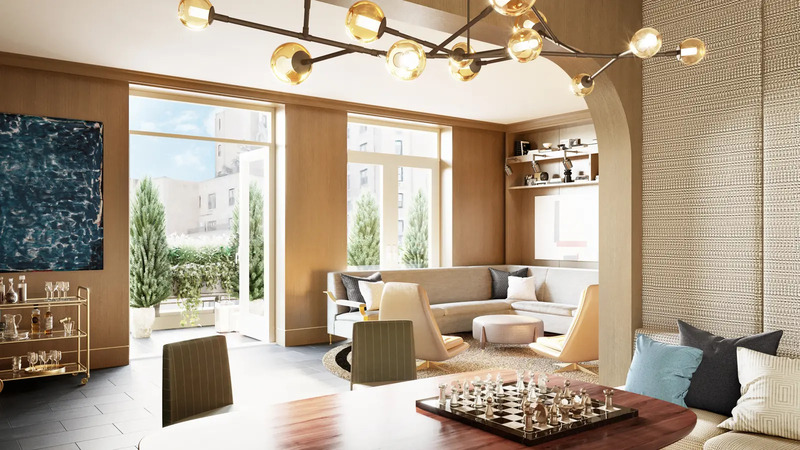 Alchemy Properties, who converted the upper floors of the Woolworth Building on Broadway to residential condominiums, and the Carlyle Group are the building’s developers. 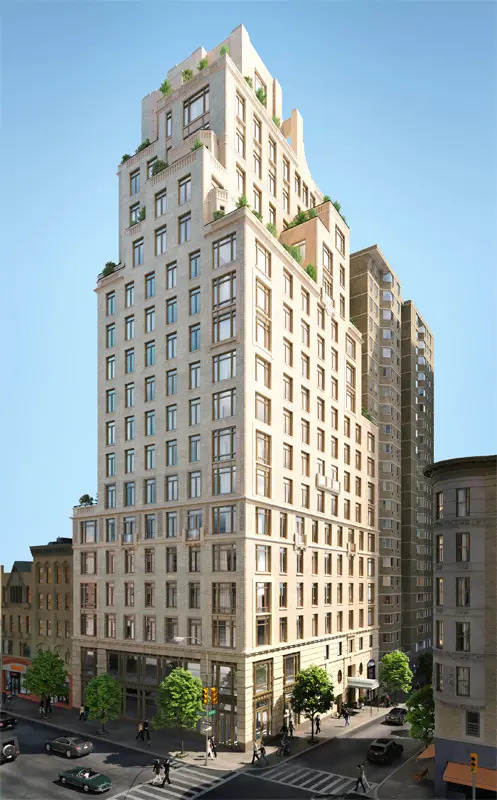 "This handsome, 18-story building designed by Robert A. M. Stern is due for completion in 2019 and will have 31 condominium apartments on the same block as Zabar’s.